I accidentally reset a group of records to Pending and need to undo the change. This tool only works on records where both the Original Id and Restored Id are non-blank (i.e. records that have previously been Inserted or Updated). 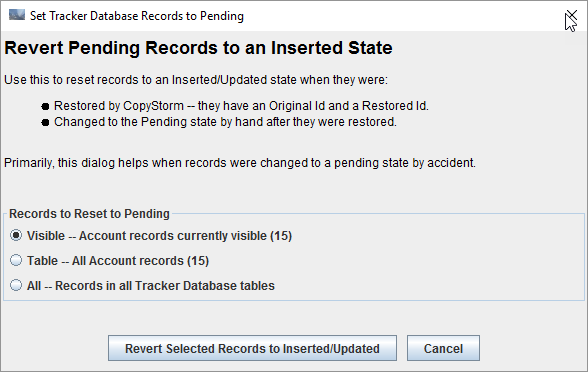 What records should be reverted from Pending back to Inserted or Updated?